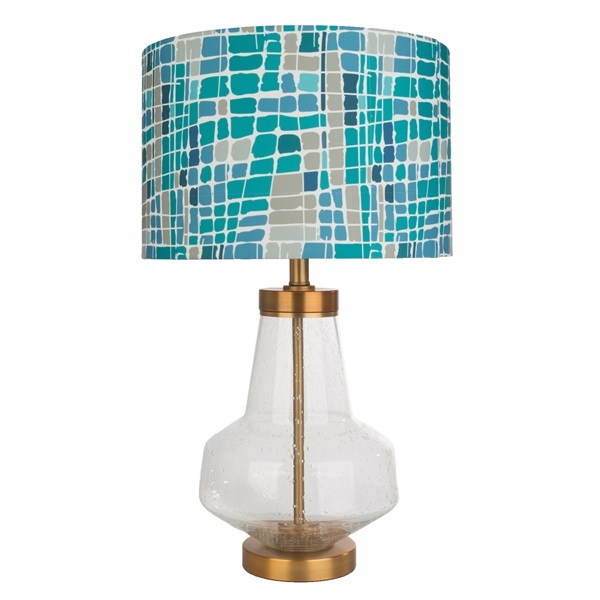 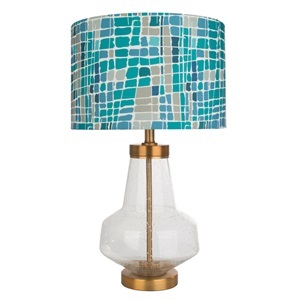 Enjoy California style living with this 24.5"H Kris Ruff by River of Goods Berkeley glass table lamp. 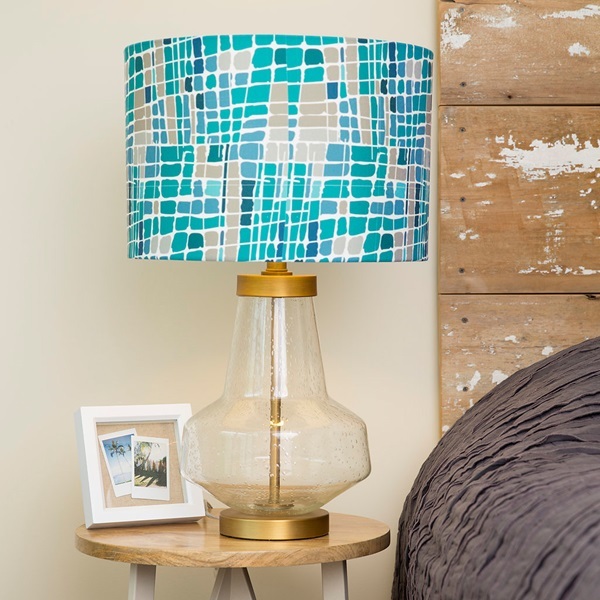 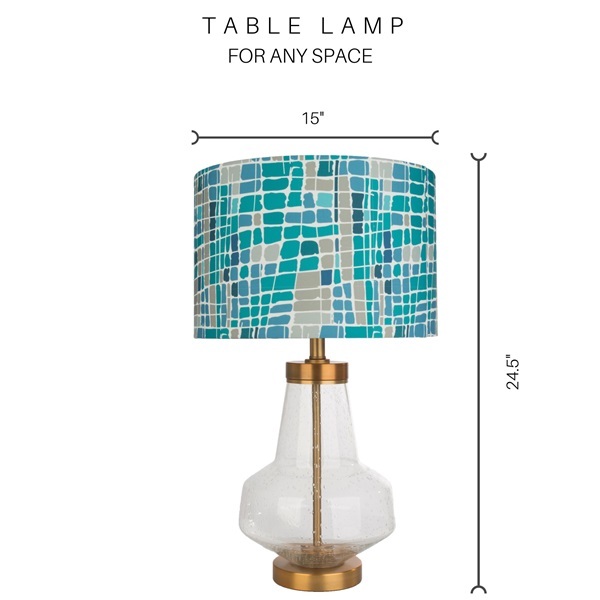 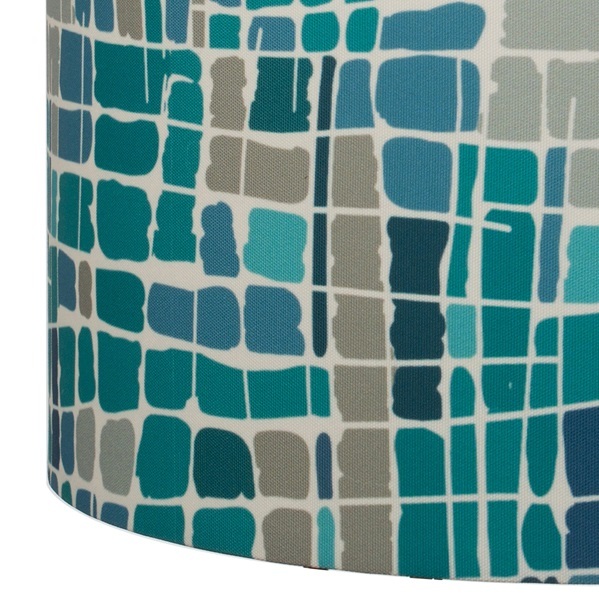 Simplicity with a pop of geometric pattern in this transitional table lamp. 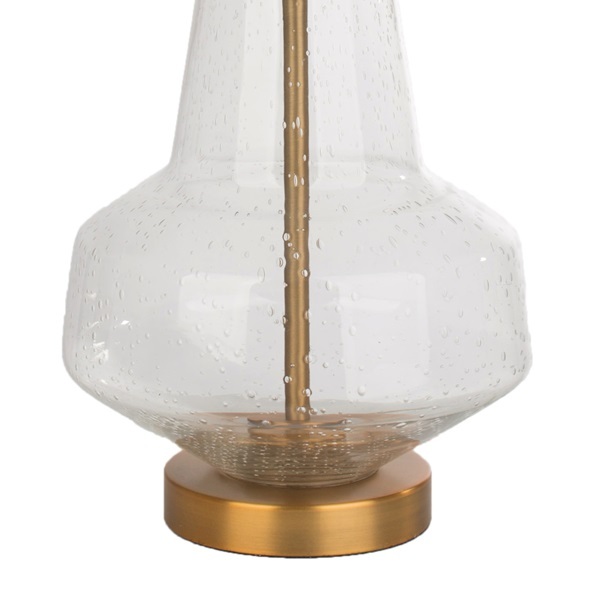 The beauty of brushed gold metal detailing in the clear blown glass bubble base and patterns of greys and blues, adds style and ambiance to any space.